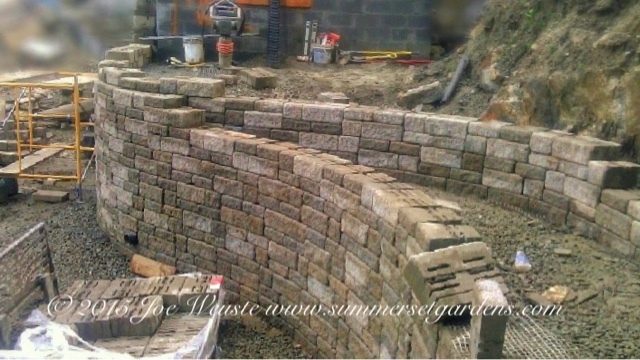 A retaining wall project under construction in a Weschester back yard. This project required extensive cut and fill excavation as well as hammering out ledge rock. I am using Versa Lok for some of the retaining walls and steel reinforced masonry walls closer to the house. Landscaping a NJ backyard featuring a waterfall.